January is a good month for reading and reflection, and during my career as an educator, the celebration of the birthday of Dr. Martin Luther King, Jr., always helps me think about the work of schools and colleges in a new and enlightened way. 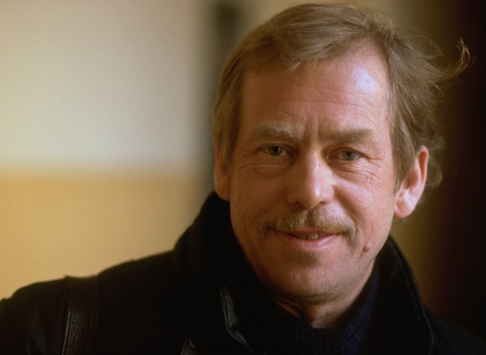 This year’s celebration occurred at a time when I was thinking and reading a lot about the life and legacy of Václav Havel, a leader and revolutionary, like King, who worked very hard to define and explore the meaning of hope in a difficult and inflexible world. Both men focused on the power of language. King eloquently insisted that American rhetoric about the power of justice and equality were empty as long as systems of prejudice, segregation and oppression were the spoken and unspoken rules of the land. King challenged religious leaders to demonstrate spiritual and moral courage in asserting and living out the full implications of a Christian religion that espoused human fellowship and denied human rights and dignity in practice. Good Christian people were remarkably satisfied and content with the racist status quo of our society. He has shown everyone that it is possible to live within the truth. Living within the lie can constitute the system only if it is universal. It was the genius of King and Havel that led to decisive and non-violent acts of social protest and activism that astonished the world. Intelligence is not enough. Intelligence plus character—that is the good of true education. The complete education gives one not only the power of concentration but worthy objectives upon which to concentrate. The broad education will therefore transmit to one not only the accumulated knowledge of the race but the accumulated experience of social living. Tolstoy, in his great novel Anna Karenina joins the conversation by asserting that we as human beings either live for our “bellies” or “for the soul.” He suggests through his hero Levin that the pursuit of happiness, fulfillment and peace must be tied to a generous, empathetic and noble purpose. In an age of calculation, strategy and utility, I find strength and inspiration from a pursuit of the very heart and soul of education.